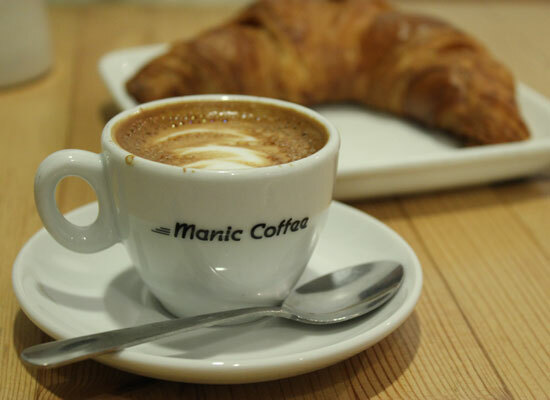 A macchiato and croissant at Manic Coffee. Photography by Kyle Edward Wilson. While we love our Starbucks, we also love finding independent cafés where we can sip on everything from organic brews to espresso from fair-trade beans. The great thing about Toronto is that no matter what neighbourhood you happen to be in, you’ll be able to find a great coffee shop. Plus many of these cafés come with free WiFi, ample seating and yummy treats. Read on to find out 5 of our favourite. A well-known espresso bar amongst coffee lovers in the city, Dark Horse currently has four locations across the city, including a spacious café in Chinatown. This particular location has a rustic atmosphere, with large wood communal tables and a second-level with plenty of seating. Our Americano was smooth and went down quite easily. Like most cafés with free WiFi, it’s a great place to get some work done on your laptop, so don’t be surprised if you see everyone from students to writers sipping and typing away (although WiFi is only free for an hour). If you’re in the mood for a treat you’ll find everything from muffins to parfaits. 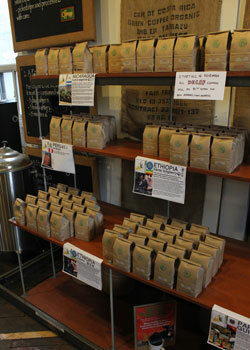 Coffee beans for sale at Merchants of Green Coffee. Photography by Kyle Edward Wilson. You have to go slightly off the beaten path to find Merchants, but it’s worth it. Located in Leslieville, just over the Don Valley Parkway, this company is all about sourcing the best certified green arabica coffee beans and trust us, you can taste the difference. 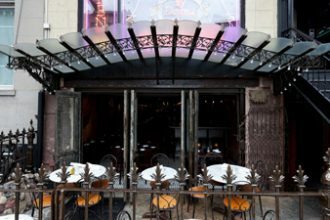 The café is large and open with a mixed bag of cozy furniture. The service isn’t exactly fast, so plan to come in when you can have a seat and relax while you enjoy your brew. There’s also free WiFi and a small selection of treats. 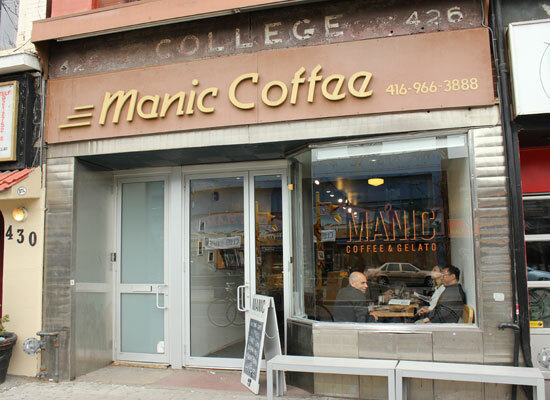 Manic Coffee. Photography by Kyle Edward Wilson. Founder Matthew Lee didn’t set out to open any old coffee shop, in fact he studied the art and science of coffee to learn how to make the perfect brew and we have to say we enjoyed what we found. Not into espresso? Their regular coffee is brewed with the Clover Brewing Machine (you can find it at select Starbucks) and having tasted it, can say it does make a difference. But for those craving an espresso-based drink, you’ll find your standard barista beverages from cappucino’s to Americano’s. Another bonus, not only will you find in-house baked treats like croissants and scones, but they also happen to serve gelato. If you pop by on a weekend, don’t be surprised if you see the tables mostly occupied by students on laptops, as this is a popular destination for nearby U of T students. White Squirrel Coffee. Photography by Kyle Edward Wilson. Located across from Trinity Bellwoods Park in Toronto’s Queen West neighbourhood, White Squirrel is just the place to get a caffeine buzz to start your day or perhaps late in the day when you’ve shopped all the best boutiques in the area. 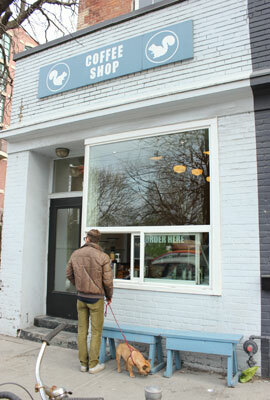 Our favourite feature about this shop is the ordering window that allows you to stay with your pup while you make your coffee purchase, but you can also opt to take a seat at the communal table located upstairs. In addition to the delicious espresso, you can also order cookies, muffins, sandwiches and Greg’s Ice Cream (P.S. the roasted marshmallow flavour is amazing!!). The Good Neighbour. Photography by Justin Harrington. Just outside the bustle of the Junction in the west end, you’ll find a quirky spot to stop and sip a cup of organic coffee or a cozy up with a foamy latte. 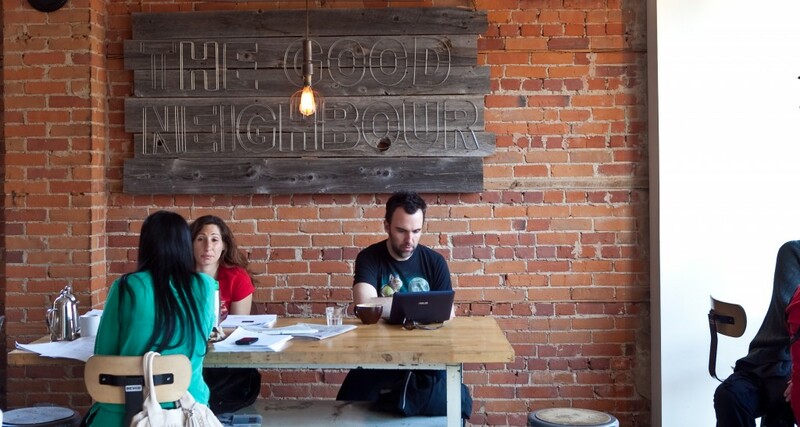 The Good Neighbour’s artsy, hip vibe with miss-matched tables, metal chairs, funky light fixtures and a nook with deep leather chairs is inviting enough to come in whether you’re a coffee aficianado or not. But once you’re in, you’ll want to order a large chai latte, or espresso and nibble on the addictive almond croissants (just order two — trust us, they’re that good!) and people watch from the communal table. Don’t forget your laptop or eReader … you’ll find customers here soaking up the caffeine and good reads for hours. 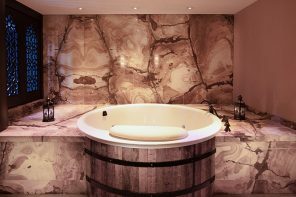 We can’t think of a better way to spend an afternoon.